Facebook’s secret rule book is a 1,400 page document that is the byproduct of several dozen Facebook employees who gather every other Tuesday to brainstorm rules outlining acceptable speech. As the The New York Times recently reported, the employees brainstorm rules over acceptable speech and those guidelines are then sent out to over 7,500 moderators around the world. However, as Clarion Project has also reported, many Facebook employees are young and often unable to find nuance in conversation. Facebook’s role has become so hegemonic, so monopolistic, that it has become a force unto itself. No one entity, especially not a for-profit venture like Facebook, should have that kind of power to influence public debate and policy. 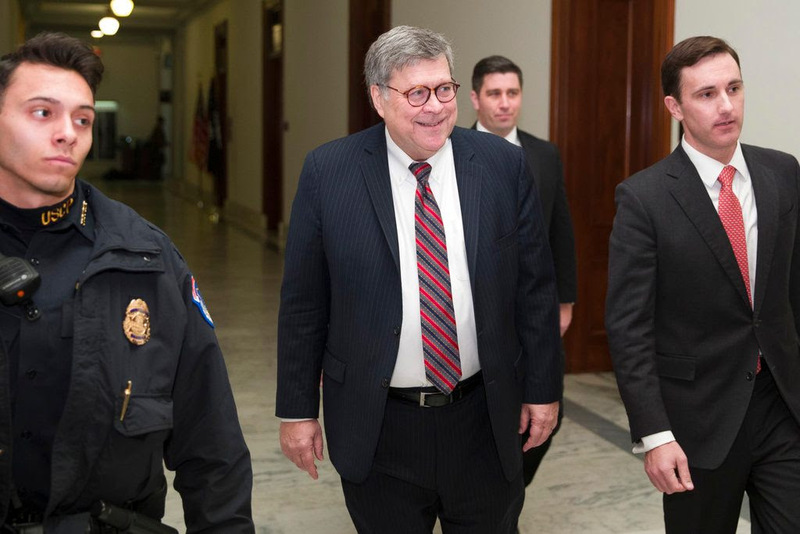 BARR EXAM: The confirmation hearing for William Barr, President Trump's nominee to be the nation's next attorney general, will begin Tuesday, and it may resemble an audition stage for Democrats hoping to run for president in 2020 ... Several Democratic senators thought to be potential presidential contenders in 2020 -- including Kamala Harris, Cory Booker, and Amy Klobuchar -- are set to grill Barr. Although the 68-year-old nominee is expected to ultimately win confirmation in the Republican-controlled Senate, Tuesday's questioning affords Democrats another major opportunity to send sparks flying and promote their own White House ambitions. Sen. Lindsey Graham, R-S.C., the new chairman of the Judiciary Committee, will oversee the hearing. Barr's views on Special Counsel Robert Mueller's Russia probe will be a major topic, and he is expected to tell the committee that he believes Mueller should be permitted to conclude his investigation and that the findings should be made public. Today, Tuesday, January 15th from 7 to 9pm EST on American Political Radio, RIGHT SIDE PATRIOTS Craig Andresen and Diane Sori discuss 'A Speech, A Walkout, and Maybe Now A Wall'; 'The Wall: Dollars and Common Sense'; and important news of the day. "Some have suggested a barrier is immoral. Then why do wealthy politicians build walls, fences and gates around their homes? They don’t build walls because they hate the people on the outside, but because they love the people on the inside." He walked out of the meeting. “Bravo President Trump” is all I can say as one can only beat their head against a brick wall just so many times. And in this case that brick wall was and remains House Majority Leader Nancy Pelosi and Senate Minority Leader Chuck Schumer...two very rotten peas in the same uber liberal, America-hating, illegal-loving, and oh so socialist pod. And said walk-out happened during President Trump's White House meeting with Democrat party leaders a day after his Oval Office speech where he presented his case for why a wall must be built while at the same time highlighting the human cost of what he called the "ever growing humanitarian and security crisis" of still ongoing illegal immigration. First, know that President Trump, for the most part, presented his case well even with his what I'll call a deliberate or otherwise “slip of the tongue” where in the speech's beginning he said “illegal migration” instead of either “illegal immigration” or “illegal invasion” (which truthfully is exactly what it is), and where he did not tell America the real reason why Democrats refuse to fund the wall...as in they will lose the illegals votes...it is all about votes after all. Instead, Trump pointing out the very many tangible and pressing reasons why the wall must be built... including reasons ranging the gamut from the fact that by building the wall it would help close the “pipeline” that permits "vast quantities of illegal drugs” to cross our border and that "Every week, 300 of our citizens are killed by heroin alone – 90 percent of which floods across from our southern border"...to the still unfolding humanitarian crisis where children are being used as human pawns by “vicious coyotes and ruthless gangs,” and to where one in three women are sexually assaulted on the dangerous trek up through Mexico. And our president added to that by saying, “Women and children are the biggest victims by far of our broken system." But, while saying those very words proves President Trump's heart surely is in the right place, he did, however, miss a golden opportunity to say for all to hear that it's not our system that is broken and that there would be no so-called “victims” of those wanting into our country, if those wanting in honored the process and came here legally by following our already on-the-books immigration laws. But then again without an invasion...a Democrat initiated and funded invasion...how could said Democrats garner such a massive all-at-one-time voting block if not for the promised freebies and handouts in exchange for the illegals votes. A catch 22 situation if ever there was one. 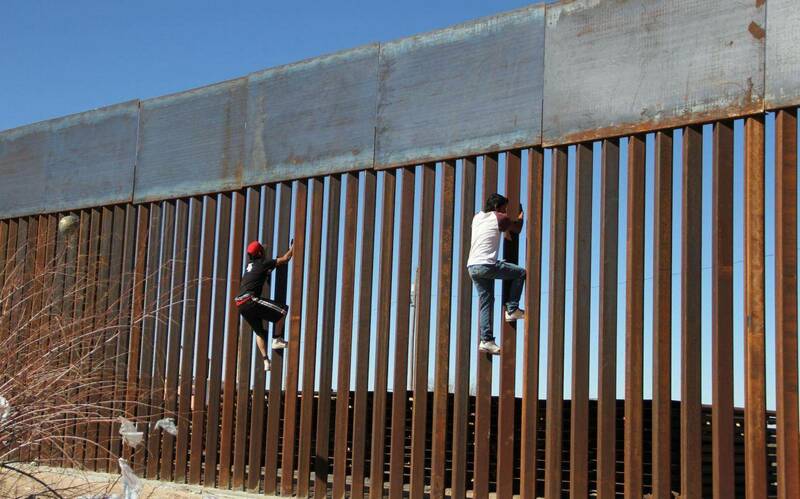 However, for me the highlight of his entire speech came not when President Trump listed the reasons why the wall must be built...we Republicans and Conservatives already know those reasons well...but when he spoke of the American victims of this illegal invasion. Now hitting home the very core reason of why this invasion must be stopped at all costs...as in the health, safety, and welfare of American citizens...something Democrats could care less about...President Trump simply and rightfully put Americans over illegals...as the way it should always be...and he did so by paying tribute to the almost 3,000 law-abiding American citizens killed...murdered...by illegal immigrants, including recently murdered, in cold blood, California police Cpl. Ronil Singh, whose death we Republicans rightfully blame on California's sanctuary laws...laws that prevent local law enforcement from cooperating with federal immigration authorities. Saying, "America’s heart broke the day after Christmas when a young police officer in California was savagely murdered in cold-blood by an illegal alien who just came across the border...the life of an American hero was stolen by someone who had no right to be in our country." President Trump also reflected back on the dozens of “Angel Families” he's personally met with whose loved ones were “stolen by illegal immigration." Adding, “How much more American blood must be shed before Congress does its job?" saw President Trump laying down the gauntlet which led to the a fore mentioned Situation Room meeting last Wednesday that he walked out of. And why exactly did he walk...because when President Trump asked, “what is going to happen in 30 days if I quickly open things up, are you going to approve Border Security which includes a Wall or Steel Barrier?”...House Speaker Nancy Pelosi flat out stated in no uncertain terms, “NO.” So once again Nancy Pelosi rejected supporting any and all funding for the wall with any compromise on the Democrats part now also out of the question, thus leaving her rejection to mean that the 25% of the government currently closed...all nonessential services by the way...will remain closed but for how long is anybody's guess. Hope Nancy Pelosi and her ilk now realize exactly who is calling the shots in the this obscene chess game over the much needed wall...and it sure isn't her or her cohort Senate Minority Leader Chuck Schumer, that much I can safely say. And dare we not forget that back in February 2016, both voted to approve then-President Obama's sending of what in the end amounted to a half-a-billion dollars of our hard earned taxpayer monies to Jordan to help fund their building of a wall between themselves and Syria in order to keep so-called refugees, ISIS, and other terrorist groups out of their country. Ironic isn't it that a muslim country...a country whose king is directly tied to the Muslim Brotherhood... saw these two miscreants helping to keep them safe but America and Americans they won't help keep safe. Says a lot now doesn't it, and President Trump needs to bring this out in the public venue...a tweet or two wouldn't hurt now would it. And President Trump should also speak and tweet about how Chuck Schumer back in 2009 was a huge supporter and proponent of not only strong border security but of legal immigration alone. Basically mimicking then what Trump is now proposing sees partisan politics being the main reason why Democrats oppose securing the border today. And here, just a few years ago, Chuck Schumer calls illegal aliens "criminals" just like President Trump and many of we Republicans do today. So with President Trump rightfully calling last Wednesday's meeting “a total waste of time”...after all meeting with hypocrites always are...and with Democrats still bloviating that Trump is “manufacturing a crisis, stoking fear, and diverting attention” away from what they insist is turmoil within his administration, our president is now hard at work trying to get that much needed wall built. And he's trying to do so even without Congress giving him the $5.7 billion funding he is asking for. “We're looking at a national emergency because we have a national emergency." So said President Trump recently to a group of reporters. But the question is how can President Trump build the wall without the needed Congressional monies? The answer really is quite simple as in Trump's declaring a “national emergency”...which legally as president he surely can do...and then authorizing the wall to be built by moving funds already appropriated for a specific purpose, but a purpose those funds have yet to be used for, and “redirecting” those funds to building the wall. And it just so happens that there is roughly $20 billion for military construction projects just sitting there with nary a construction project in sight, meaning Trump could “redirect” those "unobligated funds" to building the wall as that very money has already been appropriated by Congress. Also, there’s a little-known section of the U.S. Code governing the military that gives the defense secretary the authority to undertake military construction projects “not otherwise authorized by law” to support any troops deployed in a national emergency requiring the use of the armed forces...and there are indeed troops at our southern border. But can President Trump simply declare a “national emergency” let alone do a unilateral authorization and then shift the needed funds from one designated area to a newly designated area? Some legal scholars say no because Article I, Section 9 of the Constitution states that, “No money shall be drawn from the Treasury, but in Consequence of Appropriations made by Law,” with no exception or even a reference to "national emergencies." But there is also this point of view, "Congress chose not to put any substantial — or really any — barriers on the president's ability to declare a national emergency," as per Elizabeth Goitein, co-director of the Brennan Center for Justice's Liberty and National Security Program. So who is right...it really doesn't matter because in 1950, Congress gave presidents a “lump sum of money” to be used at the president’s discretion during times of a “national emergency,” including during times of war and/or natural catastrophes. And the 1950's law specifically mentions civil defense situations as a war situation, and really what is the ongoing illegal invasion but a form of war...a "crisis" as President Trump called it in his Oval Office address. And at the very moment Trump would declare a “national emergency,” he would be able to not only set aside many of the current legal limits placed on his authority, but be granted access to special powers...powers that allow him as president to bypass the usual political process... powers that are contained in 136 different provisions of law that Congress has passed over the years...96 of which can be activated by the president alone. And this includes laws allowing Trump to shut down many kinds of electronic communications inside our country if he chose to do so...bet most didn't know that. And then there's the National Emergencies Act of 1976, where under this law...a law that gives no definition of what is or is not a “national emergency”...President Trump would have complete discretion to issue what's known as an “emergency declaration,” but he must specify in the declaration which powers he intends to use, issue public updates if he decides to invoke any of the granted additional powers, and report to Congress on the government’s emergency-related expenditures every six months. The state of emergency would expire after a year unless Trump renews it, and the Senate and the House must meet every six months while the emergency is in effect “to consider a vote” on termination. But even with all the above stated caveats involved, President Trump does indeed have every legal right to tap into emergency presidential powers thus bypassing Congress to access both the monies and the resources needed to get the much needed wall built. And how it must stick in the Democrats craw to know that even with their fighting Trump every step of the way, in the end they will surely lose and the wall will get built. And with their now being in control of the House, Democrats will most assuredly try to block Trump from his even declaring a “national emergency” even while knowing the Republicans still control the Senate and will never go along with their block...save for the likes of now Sen. Mitt Romney and one or two other senators perhaps. So as we now await President Trump's final decision as to whether he will or will not declare a state of “national emergency,” know that if he “can't make a deal with people that are unreasonable," that a state of “national emergency” could easily be declared by this week's end. President Donald J. Trump...the man who is ever so skilled in making deals...the man who took an oath to protect the health, safety, and welfare of "We the American People," might just pull this off and get the wall built post-haste. And he'll do it not because he wants to rub it in the faces of the Democrats, but because he knows well it's what "We the People" want and what "We the People" need to keep both our homeland and American citizens safe and free. 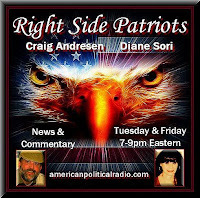 For more political commentary please visit my RIGHT SIDE PATRIOTS partner Craig Andresen's blog The National Patriot to read his latest article The Wall: Dollars and Common Sense.